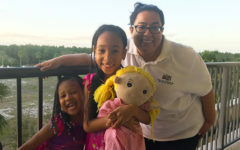 The holidays are all about togetherness for my family. Because of distance, I can’t always be with all of my loved ones at Christmas, but my little nuclear family has created plenty of our own traditions to make the most of this season. 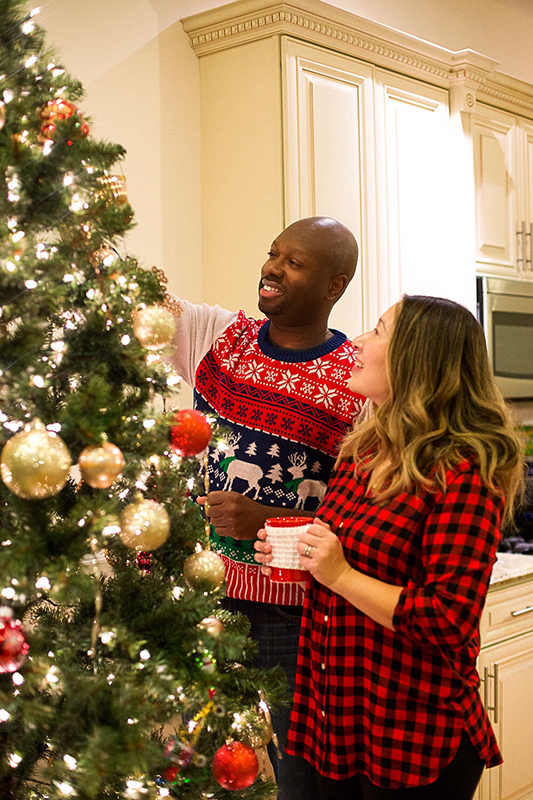 We’ve actually found that many of our favorite holiday activities don’t involve spending a dime! Here’s my list of free Christmas activities for children. Our annual tradition is to put on Ella Fitzgerald’s Christmas album and sip hot cocoa as we decorate the tree. Opening the boxes of decorations seems to bring my girls just as much excitement as Christmas morning does! They look forward to unwrapping each forgotten ornament and reminiscing about its origins. We tell stories from years past, laughing all the while. 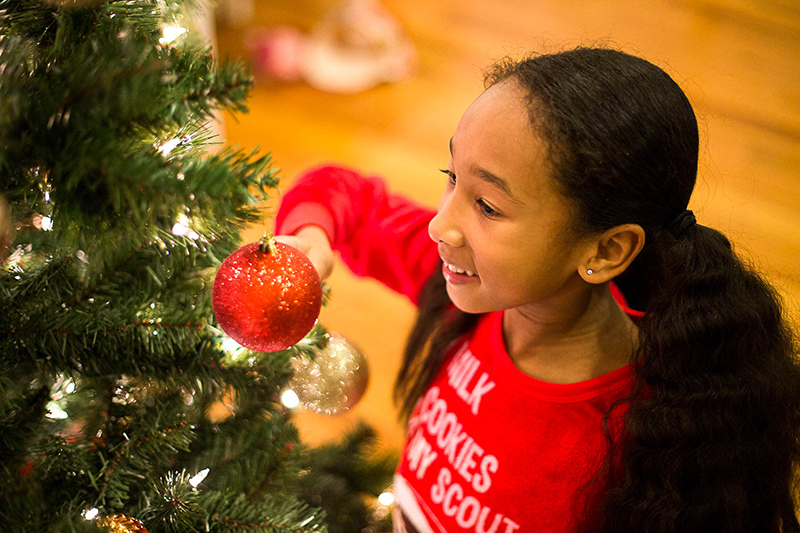 No, kids don’t always do the greatest job when it comes to evenly distributing ornaments, but having a picture-perfect tree isn’t the point. The girls love the bonding time with us, and Serge and I love the looks on their faces when we take a step back to admire our finished tree! In New York City, the Christmas lights in Dyker Heights are legendary. More than 100,000 people flock to the neighborhood each year to see the brilliant displays. If this doesn’t bring childlike wonder to the faces of everyone in your family, I don’t know what will! Even if your hometown doesn’t have an over-the-top display like Dyker Heights, driving around to see your neighbors’ Christmas lights is a fun (and free!) holiday activity. This is one of my favorite free Christmas activities for children because it really requires less skill than you think and leaves a lasting impression. I don’t know a single child who would turn down the opportunity to bake cookies! Even if you’re not exactly a master chef, you can buy pre-made sugar cookies and simply decorate them with the kids. Or you can break out the family recipe book and get to work making intricate and delicious holiday treats. 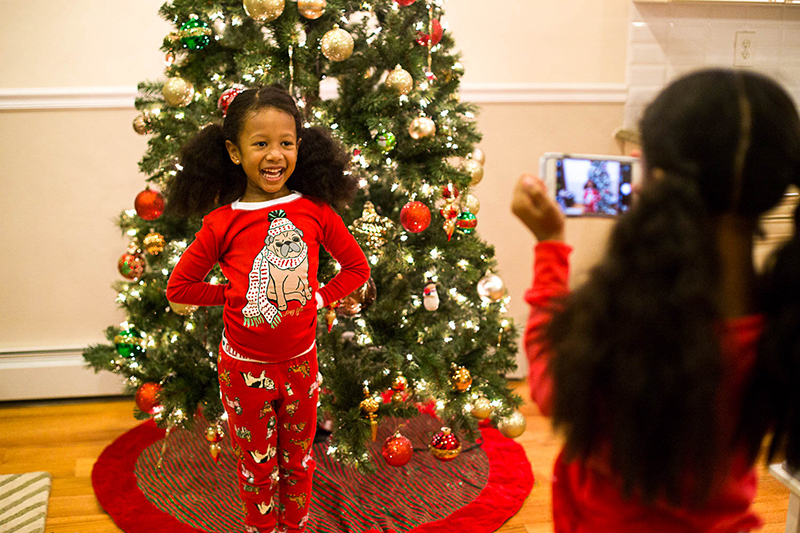 Teach your children that giving can be just as rewarding as receiving this time of year. Spend time together organizing and distributing food at a food pantry! Have older kids? Serve at a soup kitchen. If you simply can’t squeeze this in but will be doing holiday shopping anyway, have your children help shop for the less fortunate and bring along to drop off the donations. There are so many great concerts this time of year, especially in New York City. You’ll find artists in nearly every genre of music performing festive tunes, and your family can be a part of the fun even if it’s as simple as watching carolers in the park. Ella always cracks me up! 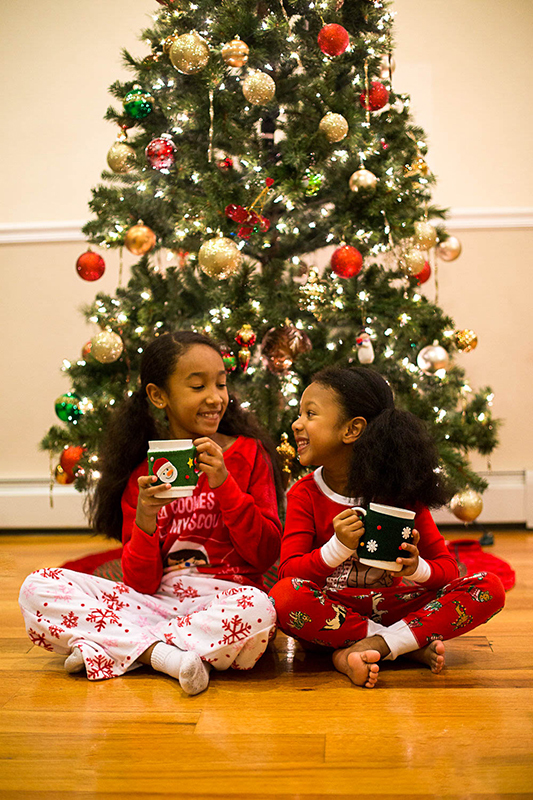 What are your favorite free Christmas activities for children? The most important part of the holidays is being together, so use this list of free Christmas activities for children to do just that. 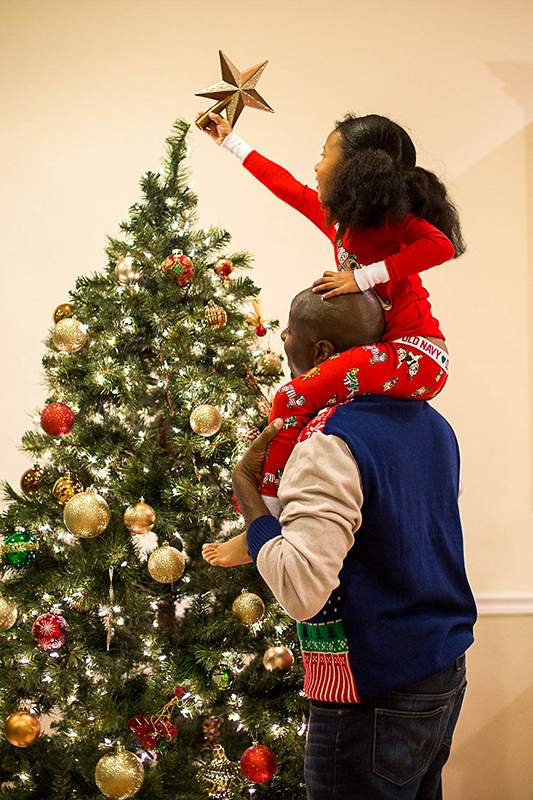 Are you forced to miss a holiday tradition because you can’t be with your loved ones this year? You’re in luck! 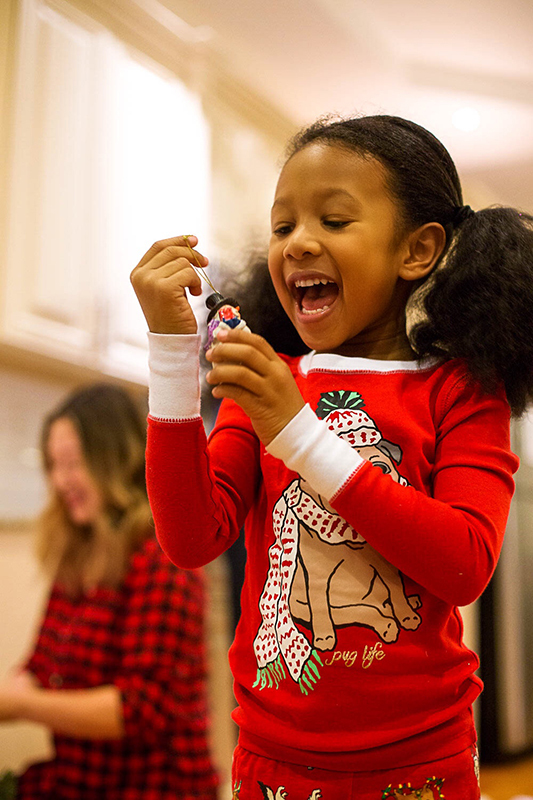 This season, T.J.Maxx, Marshalls and HomeGoods will make it possible for five families from across the U.S. to come together for the holidays, thanks to their Gift My Gathering contest. 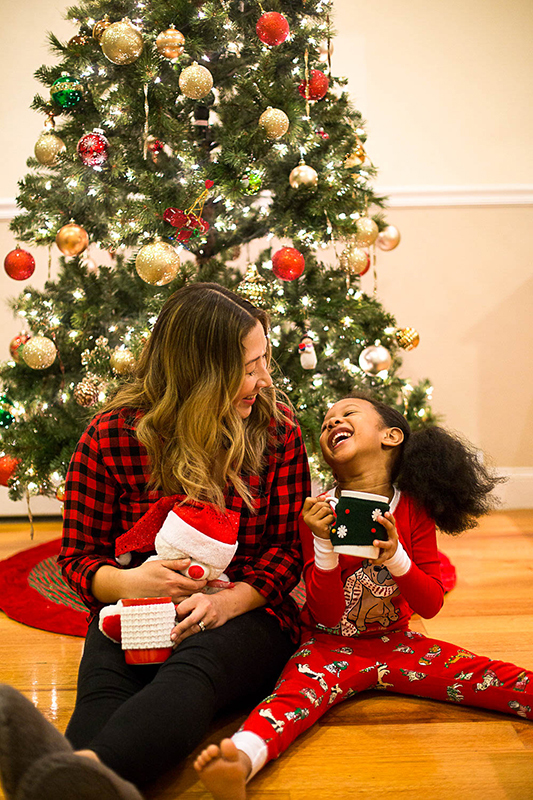 Visit giftmygathering.com through November 28th and share how these brands can help you gather with the ones you love this holiday season. Five winners will have their holiday wishes granted!